This property is located in the beautiful nature area of the High Fens. This house will be perfect for a family stay. The holiday home is situated in a quiet residential area. It has a nice flat garden and boasts a beautiful view on the countryside. In addition to long, revigorating and astounding walks on the High Fens natural reserve, this interesting environment also offers other sporting activities to its visitors, such as cross-country skiing and mountain biking. Cultural excursions in these East Cantons are also recommended. Just think of the city of Stavelot with its abbey, Malmedy with its dynamic city centre, Spa, the pearl of the Arden and Coo with its waterfall and PlopsaCoo leisure park! Comfort Holiday Suite for 6 people. An authentic fisherman’s city with a wide sandy beach and enough possibilities to go sightseeing? That’s Zeebrugge! Together with Knokke and Bruges, it forms a zone that stands for about 70% of all stays at the Belgian coast. ‘Bruges at Sea’ makes a great base for excursions around the mundane Knokke, the down-to-earth Blankenberge, and the romantic Bruges. One of Zeebrugge’s strongest trumps is without a doubt its international harbour; Belgium’s second largest! Do explore it per boat! This Holiday Suite for 6 people features one bedroom with double bed for 2 people and one bedroom with a bunk bed for 2 people. Then there’s also a sleeping corner with a bunk bed for 2 people as well. This accommodation has a pleasant living room with tv and a balcony. The open kitchen is fully equipped (fridge, hot plates, dishwasher, microwave oven, electric kettle, coffee maker, pots and pans and dinnerware). This suite has a bathroom with shower, wash-hand basin and a toilet. Zeebrugge is the proud owner of the largest beach at the Belgian coast; here you won’t have to wrestle your way through the crowds, to find a spot for your towel! Enjoy the many free services the city has to offer, like parking your car for free… everywhere! Now look, that’s our cup of tea! Explore natural reserves, the theme park ‘Seafront’, and Coney Island; the vibrant ‘new heart of Zeebrugge’, that lies between two harbour locks; here you’ll find a wide range of stores, fish shops, pubs and restaurants. Try out some fish soup, a shrimp croquette or a fish dish, and don’t forget to pay a visit to ‘t Werftje; an authentic fisherman’s pub with national fame! Reservations General information Holiday Suites only accepts reservations from people who are 18 or older. Holiday Suites reserves the right to refuse a reservation at any time without specifying a reason. All personal information including addresses, telephone numbers and email addresses of all people who will be staying with us must be furnished to Holiday Suites to ensure that the required communication with you can take place. If this information is not furnished, Holiday Suites will not be able to provide you with important information regarding arrival and departure (key safe, code, route description, etc.). If people and pets have not been specified when making the reservation, they may not stay with you at the accommodation. If a Holiday Suites employee or a representative of the company should determine that this is the case, Holiday Suites may decide not to return the deposit in full or in part or you may be removed from the park without being entitled to a reimbursement. You can make a reservation 24 hours a day through our Internet site ... or by telephone by calling ... between 8 a.m. and 10 p.m. (this call may not be free). If you are entitled to a discount, please inform us immediately when making your reservation. We cannot deduct discounts afterwards. Discount schemes and special offers apply to a limited number of holiday accommodation units. Discount schemes cannot be used in combination with special offers. Discounts cannot be combined unless a combination is specified specifically. A limited number of holiday accommodation units are reserved for youths younger than 21 who are travelling alone. They must contact our reservation department before booking. Detailed information You must have paid the full amount of your reservation before your arrival. We will cancel your reservation should payment be late. You can determine the position of your suite yourself for an additional small charge (sea view or sunny side). You can also group multiple suites in the same booking. All preferences will depend on availability and you must make your request when making your reservation. Price General The prices in the brochure and on ... may be different from the actually consulted price when booking your accommodation. A number of elements included in the price must be reviewed regularly such as (but not limited to) energy costs. Holiday Suites reserves the right to change prices and/or to charge a surcharge. Holiday Suites also reserves the right to change discounts and discount schemes. The price specified on the confirmation/invoice is binding. The price includes the following: The rate Use of a flat screen or TV VAT (Obligatory) rental of sheets Energy and water use, taxes, etc. Cleaning upon departure The price does not include the following: (Optional) rental of towels Other supplements (pet, service kit, etc.) Cleaning during your stay (when requested). If you book online, the system will present a detailed overview of all costs and the total price while you are booking the accommodation. Holiday Suites has the right to alter prices or cancel reservations up to 72 hours after booking. Discounts Specific discounts may apply to the price in accordance with specific terms and conditions. Discounts: Cannot be used in combination with other benefits or offers Do not apply to reservations that have already been made Apply to specific arrival dates, periods or target groups (for example: OAPs, families with young children, people who book early, etc.) Apply to a limited number of suites and/or accommodation types Can always be revised Will never apply with retroactive effect Discounts cannot be used any more after confirmation or after the invoice has been issued. Deposit The deposit must be paid in full to Holiday Suites through a bank transfer or a credit card before arrival. The reservation will be refused or cancelled if the above payment is not made in full or in part. The deposit will be reimbursed through a bank transfer by Holiday Suites to the account of the person making the reservation. This will take place once the stay has taken place and will be done within 3 weeks if the Holiday Suites accommodation is in order upon your departure. All our holiday accommodation units are clean and hygienic. If you find that something is missing or broken when you access the accommodation unit, please report this within an hour after accessing the accommodation unit by calling ... EUR/minute). If you do not do so, you run the risk of having to pay for the missing item or damage yourself when you leave. To ensure that the deposit is reimbursed quickly, please let us have your IBAN and SWIFT/BIC code when you make your reservation. The following cleaning activities must be carried out by the guest: Clear up the kitchen/kitchenette, i.e. the kitchen unit, all crockery, plates, saucepans, pans and service must be washed up and dried and put away in the units The fridge, cooling, microwave, coffee machine and kettle must be cleaned Waste must be deposited in the containers (see the park plan) when you leave Sheets and (any) towels must be gathered and placed in the washing bag provided in the entrance hall (if a washing bag is not available, they may be simply stacked on the floor) Switch off the lighting and close windows and doors Leave the patio/garden tidy and place the garden furniture in the storage facility (if this applies to your destination) If additional work needs to be carried out by the cleaning company, the deposit will not be reimbursed in full or in part (a minimum of 30 EUR will apply) and the administrative costs for this will be charged. If the park regulations are breached, 50% of the deposit will not be reimbursed (for example, when you park at the site instead of the car park, when driving faster than the maximum permitted speed, etc.). If you lose the key or it breaks off, € 40 will be deducted from the deposit. The entitlement to be reimbursed the deposit will expire two years after the date of departure. You may not have people and pets stay with you if they have not been specified when you made the reservation. If a Holiday Suites employee or a representative of the company should determine that this is the case, Holiday Suites may decide not to return the deposit in full or in part (also see item 10) or you may be removed from the park without being entitled to a reimbursement. Smoking is not allowed in any of our buildings. If you do smoke, the entire deposit will not be reimbursed. If you cancel your reservation, the deposit will be reimbursed to the person making the reservation once your stay has finished. This reimbursement will take place within 21 days. Package Deals Cycling Paradise Limburg In case of minor damage to the bicycle, no costs will be charged. Repairs necessary by negligence or abnormal use, will also be invoiced. In case of loss of the bicycle, the customer will be held responsible. In case of loss, the customer refunds the bicycle(s) to Holiday Suites. Holiday Suites is not responsible for any accidents that may occur while using the bicycle. In case of a defect, the customer will inform Holiday Suites. Changes & Cancellations Changes If you want to shorten the length of your stay after making a reservation, you can do this up to 1 month before arrival. You can always book additional items and extend your stay based on availability. You can tell us about changes and cancellations by telephone by calling ... EUR/minute). We charge € 25 in administration costs for changing reservations already made. Cancellations If you cancel earlier than 7 days before your arrival date, you are allowed to do so free of charge. If you cancel within a period of 7 days before your arrival date, the full rate is due and payable. If you cut your stay short, the full rate is due and payable. If you booked the non-refundable rate: In case of cancellation, change or if yo Please note: the rates do not include the mandatory hirers' liability insurance. This small amount is a percentage of the rental sum starting from 10 Euros per reservation. AR1206 Cottage 8 persons Comfort. Fully equipped accommodations, always in the middle of natureFree unlimited access to the subtropical swimming paradise Aqua MundoFree entertainment in tropical center the Market DomeFree (indoor) activities for everyoneEnd cleaning of your accommodationUsage of water and electricityLocated in the Southeast of Belgium, in the middle of the green hilly Ardennes, surrounded by picturesque villagesSubtropical swimming paradise with a double slide for hours of racing fun!Challenge each other and be adventurous on the climbing course high up in the treesStay in a recently renewed cottage, from 2 to even 18 personsNumerous outdoor sports for every season: hiking, canoeing in the summer, cross-country skiing in winterHave a race on the Duo Racer water slide, testing your supple muscles in the Laser Labyrinth and the Speleo Tunnel, and romp around with the kids in the indoor play paradise. The Ardennes invite you to go hiking, mountain biking and of course, winter sports!Choose between 3 restaurants under the palm trees. What will it be, a buffet, a snack and a drink in the Grand Café or a bite to eat in the Aqua Mundo? We also have a supermarket for all your shopping, and you can order pizza. Or have your breakfast or Table Cooking package delivered! Renewed, fully equipped kitchen with dishwasher, refrigerator, stove microwave, Filter coffee machine, toaster, kettleComfortable living room with a flatscreen tv and a fireplace4 Renewed bedrooms: 2 bedrooms with adjoining single beds and 2 bedrooms with bunk bedsRenewed bathroom with shower, double washbasin and two separate toilets Option booking not available Please note: the rates do not include the mandatory hirers' liability insurance. This small amount is a percentage of the rental sum starting from 10 Euros per reservation. New Holiday Suite for 2 people, accessible to disabled people. The fashionable Nieuwpoort is the pearl of the Belgian coast. It is the ideal destination to fully unwind and fully enjoy nature. Long walks on the beach, fresh air at the pier or bird watching in nature reserve "De Ijzermonding" ... Nieuwpoort is pure enjoyment! Nieuwpoort is a young and dynamic resort where you can experience everything. The city has a beautiful, extensive sandy beach and dunes, ideal for a nice beach walk. During the summer you can also visit the cozy beach bars, which provide the perfect cooling during the hot summer days. On the beach there is even a play village for children, fun guaranteed! But in addition to the beach and the sea front, Nieuwpoort has much more to offer for the walkers and cyclists among us. The nature reserve "De Ijzermonding" is the most idyllic spot in Nieuwpoort. You can enjoy the beautiful fauna and flora for hours thanks to an extensive network of cycling and hiking trails. Nieuwpoort is of course also a beautiful, historic city with numerous monuments and historic buildings. The most famous monument is of course the King Albert I monument, but also the historic city center is definitely worth a visit! Nieuwpoort also does not disappoint on a cultural level. You can admire numerous Beaufort works of art there, such as "Le vent souffle où il veut" by artist Daniel Buren. But la pièce de résistance is of course the artwork "Searching for Utopia", better known as the golden turtle by Jan Fabre. This new studio for 2 people features a spacious sleeping area with a double bed and is accessible for disabled people. The studio has a pleasant living room with flat screen television. The open kitchen is fully equipped (fridge, combi microwave oven, 4 hotplates, kettle, coffee machine, dishwasher, pots and pans, dining service, ...). There is a spacious bathroom with shower, washbasin and toilet. There is also a nice balcony. Nieuwpoort is known as the seaside resort with the largest marina on the Belgian coast, but the other coastal cummunities each have their own charm. Thanks to the coastal tram you can easily make a trip to neighboring cummunities of Koksijde and Lombardsijde, or to one of the other Belgian seaside resorts. For example, the bustling Ostend is only a 20-minute drive from Nieuwpoort. It is clear, boredom on the Belgian coast is impossible! Reservations General information Holiday Suites only accepts reservations from people who are 18 or older. Holiday Suites reserves the right to refuse a reservation at any time without specifying a reason. All personal information including addresses, telephone numbers and email addresses of all people who will be staying with us must be furnished to Holiday Suites to ensure that the required communication with you can take place. If this information is not furnished, Holiday Suites will not be able to provide you with important information regarding arrival and departure (key safe, code, route description, etc.). If people and pets have not been specified when making the reservation, they may not stay with you at the accommodation. If a Holiday Suites employee or a representative of the company should determine that this is the case, Holiday Suites may decide not to return the deposit in full or in part or you may be removed from the park without being entitled to a reimbursement. You can make a reservation 24 hours a day through our Internet site ... or by telephone by calling ... between 8 a.m. and 10 p.m. (this call may not be free). If you are entitled to a discount, please inform us immediately when making your reservation. We cannot deduct discounts afterwards. Discount schemes and special offers apply to a limited number of holiday accommodation units. Discount schemes cannot be used in combination with special offers. Discounts cannot be combined unless a combination is specified specifically. A limited number of holiday accommodation units are reserved for youths younger than 21 who are travelling alone. They must contact our reservation department before booking. Detailed information You must have paid the full amount of your reservation before your arrival. We will cancel your reservation should payment be late. You can determine the position of your suite yourself for an additional small charge (sea view or sunny side). You can also group multiple suites in the same booking. All preferences will depend on availability and you must make your request when making your reservation. Price General The prices in the brochure and on ... may be different from the actually consulted price when booking your accommodation. A number of elements included in the price must be reviewed regularly such as (but not limited to) energy costs. Holiday Suites reserves the right to change prices and/or to charge a surcharge. Holiday Suites also reserves the right to change discounts and discount schemes. The price specified on the confirmation/invoice is binding. The price includes the following: The rate Use of a flat screen or TV VAT (Obligatory) rental of sheets Energy and water use, taxes, etc. Cleaning upon departure The price does not include the following: (Optional) rental of towels Other supplements (pet, service kit, etc.) Cleaning during your stay (when requested). If you book online, the system will present a detailed overview of all costs and the total price while you are booking the accommodation. Holiday Suites has the right to alter prices or cancel reservations up to 72 hours after booking. Discounts Specific discounts may apply to the price in accordance with specific terms and conditions. Discounts: Cannot be used in combination with other benefits or offers Do not apply to reservations that have already been made Apply to specific arrival dates, periods or target groups (for example: OAPs, families with young children, people who book early, etc.) Apply to a limited number of suites and/or accommodation types Can always be revised Will never apply with retroactive effect Discounts cannot be used any more after confirmation or after the invoice has been issued. Deposit The deposit must be paid in full to Holiday Suites through a bank transfer or a credit card before arrival. The reservation will be refused or cancelled if the above payment is not made in full or in part. The deposit will be reimbursed through a bank transfer by Holiday Suites to the account of the person making the reservation. This will take place once the stay has taken place and will be done within 3 weeks if the Holiday Suites accommodation is in order upon your departure. All our holiday accommodation units are clean and hygienic. If you find that something is missing or broken when you access the accommodation unit, please report this within an hour after accessing the accommodation unit by calling ... EUR/minute). If you do not do so, you run the risk of having to pay for the missing item or damage yourself when you leave. To ensure that the deposit is reimbursed quickly, please let us have your IBAN and SWIFT/BIC code when you make your reservation. The following cleaning activities must be carried out by the guest: Clear up the kitchen/kitchenette, i.e. the kitchen unit, all crockery, plates, saucepans, pans and service must be washed up and dried and put away in the units The fridge, cooling, microwave, coffee machine and kettle must be cleaned Waste must be deposited in the containers (see the park plan) when you leave Sheets and (any) towels must be gathered and placed in the washing bag provided in the entrance hall (if a washing bag is not available, they may be simply stacked on the floor) Switch off the lighting and close windows and doors Leave the patio/garden tidy and place the garden furniture in the storage facility (if this applies to your destination) If additional work needs to be carried out by the cleaning company, the deposit will not be reimbursed in full or in part (a minimum of 30 EUR will apply) and the administrative costs for this will be charged. If the park regulations are breached, 50% of the deposit will not be reimbursed (for example, when you park at the site instead of the car park, when driving faster than the maximum permitted speed, etc.). If you lose the key or it breaks off, € 40 will be deducted from the deposit. The entitlement to be reimbursed the deposit will expire two years after the date of departure. You may not have people and pets stay with you if they have not been specified when you made the reservation. If a Holiday Suites employee or a representative of the company should determine that this is the case, Holiday Suites may decide not to return the deposit in full or in part (also see item 10) or you may be removed from the park without being entitled to a reimbursement. Smoking is not allowed in any of our buildings. If you do smoke, the entire deposit will not be reimbursed. If you cancel your reservation, the deposit will be reimbursed to the person making the reservation once your stay has finished. This reimbursement will take place within 21 days. Package Deals Cycling Paradise Limburg In case of minor damage to the bicycle, no costs will be charged. Repairs necessary by negligence or abnormal use, will also be invoiced. In case of loss of the bicycle, the customer will be held responsible. In case of loss, the customer refunds the bicycle(s) to Holiday Suites. Holiday Suites is not responsible for any accidents that may occur while using the bicycle. In case of a defect, the customer will inform Holiday Suites. Changes & Cancellations Changes If you want to shorten the length of your stay after making Please note: the rates do not include the mandatory hirers' liability insurance. This small amount is a percentage of the rental sum starting from 10 Euros per reservation. 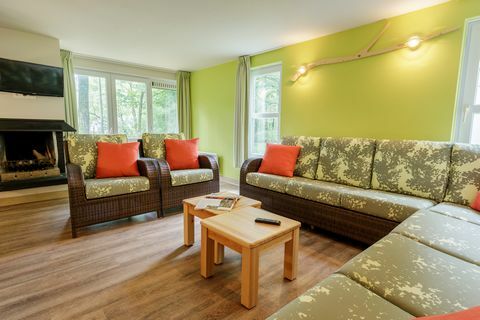 Holiday Suite for 4 people at sunside. The bustling Blankenberge is situated on the east coast of Belgium, amidst seaside resorts like Knokke, Ostend, de Haan and Westende. The pearl of the Belgian coast, with a wide range of activities. The residence is centrally located on the seafront just 300 meters from the marina, and in the immediate neighborhood of numerous cozy cafes and restaurants. The stylishly-finished holiday suites are really comfortable. For a night out, Casino Blankenberge is a true experience. This along with the wide beach, the new pier and the shopping facilities are just some of the advantages this seaside resort has to offer. For a wellness break you can visit the Bloso Blankenberge public sauna. For day trips you can step aboard the tram. This 37km-long tramway will take you from one resort to another. If you want to go shopping head over to Mondaine Knokke, or visit the nature reserve of Het Zwin in Westende. Zeebrugge, Belgium’s most important port, will overwhelm you with its harbor, fish market, and numerous seafood restaurants. A visit to the old Fort Napoleon in Ostende is always a unique surprise. Not only will you will discover a fascinating past, but cultural activities and even a gourmet dinner among an exclusive setting are possible here. A real culinary topper! For the kids Blankenberge offers numerous playgrounds, opportunities for mini-golf and even some childcare centers, and for a whole day of family fun there’s Plopsaland in de Panne. Signposted cycling and hiking routes allow you to discover beautiful polders, cycle along canals or past historic castles and through enchanted forests. And of course, there’s a complete range of water sports possible, from swimming to kite surfing. In short, there’s something for everyone. This Holiday Suite for 4 people is facing the sunny side. It has a bedroom for 2 people and a sleeping corner with a bunk bed for 2 people. The open kitchenette is fully equipped with a fridge, microwave, coffee-machine, toaster, water heater and all the necessary kitchen equipment such as pots, pans and crockery. The bathroom has a shower, washbasin and toilet. Your Holiday Suite has a furnished balcony. In the center of Blankenberge, as well as along the beach by the sea, you have a wide choice of restaurants where you will find a varied culinary offering. Whether you fancy an extensive menu or fries with mussels, in Blankenberge you won’t have to search far. The brasserie called the "East Pier" is an ideal place to sit in the sun and enjoy a snack or drink while watching the fishermen and fleeting sailboats. Spend an evening out with friends or dine out at the Casino Blankenberge while enjoying a game of blackjack, poker or roulette. Not to be missed during the summer months is the famous variety show of the White Horse. For the animal lover the underwater world of Sealife Blankenberge will surely be an unforgettable experience as you will be introduced to more than 2,500 animals. The world of snakes and reptiles of the serpentarium is another must. Furthermore, children can take a wild ride on the bikes of the Velodrome. For the culture goers among you, historic Bruges is a city that makes history even today. Take a boat trip on the canals, enjoy a romantic stroll through the narrow streets or walk along the beguinage. You are also too close to the fashionable Knokke with its abundance of trendy shops. In short Blankenberge is a wonderful mix of nature, culture, gastronomy and entertainment. The ideal combination for a great holiday! Reservations General information Holiday Suites only accepts reservations from people who are 18 or older. Holiday Suites reserves the right to refuse a reservation at any time without specifying a reason. All personal information including addresses, telephone numbers and email addresses of all people who will be staying with us must be furnished to Holiday Suites to ensure that the required communication with you can take place. If this information is not furnished, Holiday Suites will not be able to provide you with important information regarding arrival and departure (key safe, code, route description, etc.). If people and pets have not been specified when making the reservation, they may not stay with you at the accommodation. If a Holiday Suites employee or a representative of the company should determine that this is the case, Holiday Suites may decide not to return the deposit in full or in part or you may be removed from the park without being entitled to a reimbursement. You can make a reservation 24 hours a day through our Internet site ... or by telephone by calling ... between 8 a.m. and 10 p.m. (this call may not be free). If you are entitled to a discount, please inform us immediately when making your reservation. We cannot deduct discounts afterwards. Discount schemes and special offers apply to a limited number of holiday accommodation units. Discount schemes cannot be used in combination with special offers. Discounts cannot be combined unless a combination is specified specifically. A limited number of holiday accommodation units are reserved for youths younger than 21 who are travelling alone. They must contact our reservation department before booking. Detailed information You must have paid the full amount of your reservation before your arrival. We will cancel your reservation should payment be late. You can determine the position of your suite yourself for an additional small charge (sea view or sunny side). You can also group multiple suites in the same booking. All preferences will depend on availability and you must make your request when making your reservation. Price General The prices in the brochure and on ... may be different from the actually consulted price when booking your accommodation. A number of elements included in the price must be reviewed regularly such as (but not limited to) energy costs. Holiday Suites reserves the right to change prices and/or to charge a surcharge. Holiday Suites also reserves the right to change discounts and discount schemes. The price specified on the confirmation/invoice is binding. The price includes the following: The rate Use of a flat screen or TV VAT (Obligatory) rental of sheets Energy and water use, taxes, etc. Cleaning upon departure The price does not include the following: (Optional) rental of towels Other supplements (pet, service kit, etc.) Cleaning during your stay (when requested). If you book online, the system will present a detailed overview of all costs and the total price while you are booking the accommodation. Holiday Suites has the right to alter prices or cancel reservations up to 72 hours after booking. Discounts Specific discounts may apply to the price in accordance with specific terms and conditions. Discounts: Cannot be used in combination with other benefits or offers Do not apply to reservations that have already been made Apply to specific arrival dates, periods or target groups (for example: OAPs, families with young children, people who book early, etc.) Apply to a limited number of suites and/or accommodation types Can always be revised Will never apply with retroactive effect Discounts cannot be used any more after confirmation or after the invoice has been issued. Deposit The deposit must be paid in full to Holiday Suites through a bank transfer or a credit card before arrival. The reservation will be refused or cancelled if the above payment is not made in full or in part. The deposit will be reimbursed through a bank transfer by Holiday Suites to the account of the person making the reservation. This will take place once the stay has taken place and will be done within 3 weeks if the Holiday Suites accommodation is in order upon your departure. All our holiday accommodation units are clean and hygienic. If you find that something is missing or broken when you access the accommodation unit, please report this within an hour after accessing the accommodation unit by calling ... EUR/minute). If you do not do so, you run the risk of having to pay for the missing item or damage yourself when you leave. To ensure that the deposit is reimbursed quickly, please let us have your IBAN and SWIFT/BIC code when you make your reservation. The following cleaning activities must be carried out by the guest: Clear up the kitchen/kitchenette, i.e. the kitchen unit, all crockery, plates, saucepans, pans and service must be washed up and dried and put away in the units The fridge, cooling, microwave, coffee machine and kettle must be cleaned Waste must be deposited in the containers (see the park plan) when you leave Sheets and (any) towels must be gathered and placed in the washing bag provided in the entrance hall (if a washing bag is not available, they may be simply stacked on the floor) Switch off the lighting and close windows and doors Leave the patio/garden tidy and place the garden furniture in the storage facility (if this applies to your destination) If additional work needs to be carried out by the cleaning company, the deposit will not be reimbursed in full or in part (a minimum of 30 EUR will apply) and the administrative costs for this will be charged. If the park regulations are breached, 50% of the deposit will not be reimbursed (for example, when you park at the site instead of the car park, when driving faster than the maximum permitted speed, etc.). If you lose the key or it breaks off, € 40 will be deducted from the deposit. The entitlement to be reimbursed the deposit will exp Please note: the rates do not include the mandatory hirers' liability insurance. This small amount is a percentage of the rental sum starting from 10 Euros per reservation. Penthouse for 4 people with seaview. The bustling Blankenberge is situated on the east coast of Belgium, amidst seaside resorts like Knokke, Ostend, de Haan and Westende. The pearl of the Belgian coast, with a wide range of activities. The residence is centrally located on the seafront just 300 meters from the marina, and in the immediate neighborhood of numerous cozy cafes and restaurants. The stylishly-finished holiday suites are really comfortable. For a night out, Casino Blankenberge is a true experience. This along with the wide beach, the new pier and the shopping facilities are just some of the advantages this seaside resort has to offer. For a wellness break you can visit the Bloso Blankenberge public sauna. For day trips you can step aboard the tram. This 37km-long tramway will take you from one resort to another. If you want to go shopping head over to Mondaine Knokke, or visit the nature reserve of Het Zwin in Westende. Zeebrugge, Belgium’s most important port, will overwhelm you with its harbor, fish market, and numerous seafood restaurants. A visit to the old Fort Napoleon in Ostende is always a unique surprise. Not only will you will discover a fascinating past, but cultural activities and even a gourmet dinner among an exclusive setting are possible here. A real culinary topper! For the kids Blankenberge offers numerous playgrounds, opportunities for mini-golf and even some childcare centers, and for a whole day of family fun there’s Plopsaland in de Panne. Signposted cycling and hiking routes allow you to discover beautiful polders, cycle along canals or past historic castles and through enchanted forests. And of course, there’s a complete range of water sports possible, from swimming to kite surfing. In short, there’s something for everyone. This penthouse for 4 adults has a fantastic seaview. It is provided with 2 double-bed bedrooms. The open kitchenette is fully equipped with a fridge, microwave, coffee-machine, toaster, water heater and all the necessary kitchen equipment such as pots, pans and crockery. The living room is equipped with a TV. The bathroom has a shower, bath, washbasin and toilet. The suite has a very large fully equipped balcony with a magnificent view on the ocean as well as on the city. In the center of Blankenberge, as well as along the beach by the sea, you have a wide choice of restaurants where you will find a varied culinary offering. Whether you fancy an extensive menu or fries with mussels, in Blankenberge you won’t have to search far. The brasserie called the "East Pier" is an ideal place to sit in the sun and enjoy a snack or drink while watching the fishermen and fleeting sailboats. Spend an evening out with friends or dine out at the Casino Blankenberge while enjoying a game of blackjack, poker or roulette. Not to be missed during the summer months is the famous variety show of the White Horse. For the animal lover the underwater world of Sealife Blankenberge will surely be an unforgettable experience as you will be introduced to more than 2,500 animals. The world of snakes and reptiles of the serpentarium is another must. Furthermore, children can take a wild ride on the bikes of the Velodrome. For the culture goers among you, historic Bruges is a city that makes history even today. Take a boat trip on the canals, enjoy a romantic stroll through the narrow streets or walk along the beguinage. You are also too close to the fashionable Knokke with its abundance of trendy shops. In short Blankenberge is a wonderful mix of nature, culture, gastronomy and entertainment. The ideal combination for a great holiday! Reservations General information Holiday Suites only accepts reservations from people who are 18 or older. Holiday Suites reserves the right to refuse a reservation at any time without specifying a reason. All personal information including addresses, telephone numbers and email addresses of all people who will be staying with us must be furnished to Holiday Suites to ensure that the required communication with you can take place. If this information is not furnished, Holiday Suites will not be able to provide you with important information regarding arrival and departure (key safe, code, route description, etc.). If people and pets have not been specified when making the reservation, they may not stay with you at the accommodation. If a Holiday Suites employee or a representative of the company should determine that this is the case, Holiday Suites may decide not to return the deposit in full or in part or you may be removed from the park without being entitled to a reimbursement. You can make a reservation 24 hours a day through our Internet site ... or by telephone by calling ... between 8 a.m. and 10 p.m. (this call may not be free). If you are entitled to a discount, please inform us immediately when making your reservation. We cannot deduct discounts afterwards. Discount schemes and special offers apply to a limited number of holiday accommodation units. Discount schemes cannot be used in combination with special offers. Discounts cannot be combined unless a combination is specified specifically. A limited number of holiday accommodation units are reserved for youths younger than 21 who are travelling alone. They must contact our reservation department before booking. Detailed information You must have paid the full amount of your reservation before your arrival. We will cancel your reservation should payment be late. You can determine the position of your suite yourself for an additional small charge (sea view or sunny side). You can also group multiple suites in the same booking. All preferences will depend on availability and you must make your request when making your reservation. Price General The prices in the brochure and on ... may be different from the actually consulted price when booking your accommodation. A number of elements included in the price must be reviewed regularly such as (but not limited to) energy costs. Holiday Suites reserves the right to change prices and/or to charge a surcharge. Holiday Suites also reserves the right to change discounts and discount schemes. The price specified on the confirmation/invoice is binding. The price includes the following: The rate Use of a flat screen or TV VAT (Obligatory) rental of sheets Energy and water use, taxes, etc. Cleaning upon departure The price does not include the following: (Optional) rental of towels Other supplements (pet, service kit, etc.) Cleaning during your stay (when requested). If you book online, the system will present a detailed overview of all costs and the total price while you are booking the accommodation. Holiday Suites has the right to alter prices or cancel reservations up to 72 hours after booking. Discounts Specific discounts may apply to the price in accordance with specific terms and conditions. Discounts: Cannot be used in combination with other benefits or offers Do not apply to reservations that have already been made Apply to specific arrival dates, periods or target groups (for example: OAPs, families with young children, people who book early, etc.) Apply to a limited number of suites and/or accommodation types Can always be revised Will never apply with retroactive effect Discounts cannot be used any more after confirmation or after the invoice has been issued. Deposit The deposit must be paid in full to Holiday Suites through a bank transfer or a credit card before arrival. The reservation will be refused or cancelled if the above payment is not made in full or in part. The deposit will be reimbursed through a bank transfer by Holiday Suites to the account of the person making the reservation. This will take place once the stay has taken place and will be done within 3 weeks if the Holiday Suites accommodation is in order upon your departure. All our holiday accommodation units are clean and hygienic. If you find that something is missing or broken when you access the accommodation unit, please report this within an hour after accessing the accommodation unit by calling ... EUR/minute). If you do not do so, you run the risk of having to pay for the missing item or damage yourself when you leave. To ensure that the deposit is reimbursed quickly, please let us have your IBAN and SWIFT/BIC code when you make your reservation. The following cleaning activities must be carried out by the guest: Clear up the kitchen/kitchenette, i.e. the kitchen unit, all crockery, plates, saucepans, pans and service must be washed up and dried and put away in the units The fridge, cooling, microwave, coffee machine and kettle must be cleaned Waste must be deposited in the containers (see the park plan) when you leave Sheets and (any) towels must be gathered and placed in the washing bag provided in the entrance hall (if a washing bag is not available, they may be simply stacked on the floor) Switch off the lighting and close windows and doors Leave the patio/garden tidy and place the garden furniture in the storage facility (if this applies to your destination) If additional work needs to be carried out by the cleaning company, the deposit will not be reimbursed in full or in part (a minimum of 30 EUR will apply) and the administrative costs for this will be charged. If the park regulations are breached, 50% of the deposit will not be reimbursed (for example, when you park at the site instead of the car park, when driving faster than the maximum permitted speed, etc.). If you lose the key or it breaks off, € 40 will be deducted fro Please note: the rates do not include the mandatory hirers' liability insurance. This small amount is a percentage of the rental sum starting from 10 Euros per reservation. Holiday Suite for 6 people. Stay overnight in a new holiday home in a beautiful wooded area. Walking in nature, relaxing by the outdoor swimming pool, cozy cooking and dining with friends and / or family ... Or discover some bustling cities in the area: Genk, Hasselt and Maastricht. This luxury Holiday Suite for 6 people features a bedroom with double bed and a bedroom with a double and a bunk bed. The accommodation is equipped with all comforts and has a pleasant living room with flat screen television and a spacious balcony/terrace. The open kitchen is fully equipped (fridge, microwave oven, 4 hotplates, kettle, coffee machine, dishwasher, pots and pans, dining service, ...). The bathroom has a shower, washbasin and toilet. A day at our vacation domain? That means walking, swimming, cycling and above all having a lot of fun! Children can enjoy the playground, play in the woods or splash in the outdoor swimming pool. Our outdoor swimming pool is free of charge and is open from 1 June 2019 to 15 September 2019. Did you know that Plopsa Indoor Hasselt is only 15 kilometers from your holiday residence? A paradise for children! Can you snorkel? Do you like to walk barefoot? Then you definitely have to go to be-MINE and the Barefoot Path. These are ideal activities for families. Belgian Limburg is the ultimate family holiday. Reservations General information Holiday Suites only accepts reservations from people who are 18 or older. Holiday Suites reserves the right to refuse a reservation at any time without specifying a reason. All personal information including addresses, telephone numbers and email addresses of all people who will be staying with us must be furnished to Holiday Suites to ensure that the required communication with you can take place. If this information is not furnished, Holiday Suites will not be able to provide you with important information regarding arrival and departure (key safe, code, route description, etc.). If people and pets have not been specified when making the reservation, they may not stay with you at the accommodation. If a Holiday Suites employee or a representative of the company should determine that this is the case, Holiday Suites may decide not to return the deposit in full or in part or you may be removed from the park without being entitled to a reimbursement. You can make a reservation 24 hours a day through our Internet site ... or by telephone by calling ... between 8 a.m. and 10 p.m. (this call may not be free). If you are entitled to a discount, please inform us immediately when making your reservation. We cannot deduct discounts afterwards. Discount schemes and special offers apply to a limited number of holiday accommodation units. Discount schemes cannot be used in combination with special offers. Discounts cannot be combined unless a combination is specified specifically. A limited number of holiday accommodation units are reserved for youths younger than 21 who are travelling alone. They must contact our reservation department before booking. Detailed information You must have paid the full amount of your reservation before your arrival. We will cancel your reservation should payment be late. You can determine the position of your suite yourself for an additional small charge (sea view or sunny side). You can also group multiple suites in the same booking. All preferences will depend on availability and you must make your request when making your reservation. Price General The prices in the brochure and on ... may be different from the actually consulted price when booking your accommodation. A number of elements included in the price must be reviewed regularly such as (but not limited to) energy costs. Holiday Suites reserves the right to change prices and/or to charge a surcharge. Holiday Suites also reserves the right to change discounts and discount schemes. The price specified on the confirmation/invoice is binding. The price includes the following: The rate Use of a flat screen or TV VAT (Obligatory) rental of sheets Energy and water use, taxes, etc. Cleaning upon departure The price does not include the following: (Optional) rental of towels Other supplements (pet, service kit, etc.) Cleaning during your stay (when requested). If you book online, the system will present a detailed overview of all costs and the total price while you are booking the accommodation. Holiday Suites has the right to alter prices or cancel reservations up to 72 hours after booking. Discounts Specific discounts may apply to the price in accordance with specific terms and conditions. Discounts: Cannot be used in combination with other benefits or offers Do not apply to reservations that have already been made Apply to specific arrival dates, periods or target groups (for example: OAPs, families with young children, people who book early, etc.) Apply to a limited number of suites and/or accommodation types Can always be revised Will never apply with retroactive effect Discounts cannot be used any more after confirmation or after the invoice has been issued. Deposit The deposit must be paid in full to Holiday Suites through a bank transfer or a credit card before arrival. The reservation will be refused or cancelled if the above payment is not made in full or in part. The deposit will be reimbursed through a bank transfer by Holiday Suites to the account of the person making the reservation. This will take place once the stay has taken place and will be done within 3 weeks if the Holiday Suites accommodation is in order upon your departure. All our holiday accommodation units are clean and hygienic. If you find that something is missing or broken when you access the accommodation unit, please report this within an hour after accessing the accommodation unit by calling ... EUR/minute). If you do not do so, you run the risk of having to pay for the missing item or damage yourself when you leave. To ensure that the deposit is reimbursed quickly, please let us have your IBAN and SWIFT/BIC code when you make your reservation. The following cleaning activities must be carried out by the guest: Clear up the kitchen/kitchenette, i.e. the kitchen unit, all crockery, plates, saucepans, pans and service must be washed up and dried and put away in the units The fridge, cooling, microwave, coffee machine and kettle must be cleaned Waste must be deposited in the containers (see the park plan) when you leave Sheets and (any) towels must be gathered and placed in the washing bag provided in the entrance hall (if a washing bag is not available, they may be simply stacked on the floor) Switch off the lighting and close windows and doors Leave the patio/garden tidy and place the garden furniture in the storage facility (if this applies to your destination) If additional work needs to be carried out by the cleaning company, the deposit will not be reimbursed in full or in part (a minimum of 30 EUR will apply) and the administrative costs for this will be charged. If the park regulations are breached, 50% of the deposit will not be reimbursed (for example, when you park at the site instead of the car park, when driving faster than the maximum permitted speed, etc.). If you lose the key or it breaks off, € 40 will be deducted from the deposit. The entitlement to be reimbursed the deposit will expire two years after the date of departure. You may not have people and pets stay with you if they have not been specified when you made the reservation. If a Holiday Suites employee or a representative of the company should determine that this is the case, Holiday Suites may decide not to return the deposit in full or in part (also see item 10) or you may be removed from the park without being entitled to a reimbursement. Smoking is not allowed in any of our buildings. If you do smoke, the entire deposit will not be reimbursed. If you cancel your reservation, the deposit will be reimbursed to the person making the reservation once your stay has finished. This reimbursement will take place within 21 days. Package Deals Cycling Paradise Limburg In case of minor damage to the bicycle, no costs will be charged. Repairs necessary by negligence or abnormal use, will also be invoiced. In case of loss of the bicycle, the customer will be held responsible. In case of loss, the customer refunds the bicycle(s) to Holiday Suites. Holiday Suites is not responsible for any accidents that may occur while using the bicycle. In case of a defect, the customer will inform Holiday Suites. Changes & Cancellations Changes If you want to shorten the length of your stay after making a reservation, you can do this up to 1 month before arrival. You can always book additional items and extend your stay based on availability. You can tell us about changes and cancellations by telephone by calling ... EUR/minute). We charge € 25 in administration costs for changing reservations already made. Cancellations If you cancel earlier than 7 days before your arrival date, you are allowed to do so free of charge. If you cancel within a period of 7 days before your arrival date, the full rate is due and payable. If you cut your stay short, the full rate is due and payable. If you booked the non-refundable rate: In case of cancellation, change or if you do not show up (no-show), the full amount of the reservation will be charged. Reception Reception can be reached by calling ... EUR/minute) every weekday from 8 a.m. to 10 p.m. including weekends. Arrival Arrival is scheduled as from 3 p.m. on the day of arrival. (Up to 10 p.m.) If you do not arrive within 24 hours after the agreed date w Please note: the rates do not include the mandatory hirers' liability insurance. This small amount is a percentage of the rental sum starting from 10 Euros per reservation. Deluxe Holiday Suite for 7 people. Looking for sun, sea and a great holiday atmosphere? Holiday Suites offers charming and comfortable holiday apartments in the center of Westende-Bad. Westend is a borough of Middelkerke and at the same time a nice seaside resort on the Flemish coast. Due to its clean beaches and numerous entertainment venues, is the ideal destination for a child-friendly and carefree beach holiday. Moreover, you are only steps away from cities such as Ypres, Ostend and Bruges. The complex offers paid parking, parking tickets cost 6 euros per day. There are other parking options in town, but that will be some distance to walk. This Holiday Suite for 7 people features two bedrooms with double beds and a sleeping corner with a triple bunkbed for 3 people. There’s a pleasant living room with tv and a balcony/terrace. The open kitchen is fully equipped (fridge, hot plates, electric kettle, coffee maker, pots and pans and dinner-service.). The accommodation has a bathroom with bath, wash-hand basin and a toilet. Architectural gem You can not have visited Westende without admiring the Grand Hotel Belle Vue, or the Rotonde. With its unique Belle Epoque architecture, the hotel has become the icon of Westende and you absolutely must have seen it. If you do not get your architectural hunger relaxed with this mix of Egyptian, Italian and Moroccan styles, do not forget the heritage walk. This trail starts at the small museum Villa Les Zéphyrs, an authentic holiday villa from 1922 and passes several beautiful protected buildings. A sporting holiday In Westende you can also enjoy sporting. With the sea nearby, there is of course an extensive range of water sports available. Surfing in the Kwinte surf club, sea kayaks and SUPs are just some of the possibilities. Lasershooten, kick biking, bowling, karting and so much more can be found in the neighborhood in Nieuwpoort and Middelkerke. Walking and cycling in nature In Westende it is wonderful to stay, but also wonderful to go for a walk. So you have several hiking trails where you discover the various advantages of the region. Gastronomy by the sea Taste the sea in Westende on your tongue. Whether you opt for a simple mussels with fries or a two-star menu, in Westende you get value for money. You also get the unique framework of view of the sea. Reservations General information Holiday Suites only accepts reservations from people who are 18 or older. Holiday Suites reserves the right to refuse a reservation at any time without specifying a reason. All personal information including addresses, telephone numbers and email addresses of all people who will be staying with us must be furnished to Holiday Suites to ensure that the required communication with you can take place. If this information is not furnished, Holiday Suites will not be able to provide you with important information regarding arrival and departure (key safe, code, route description, etc.). If people and pets have not been specified when making the reservation, they may not stay with you at the accommodation. If a Holiday Suites employee or a representative of the company should determine that this is the case, Holiday Suites may decide not to return the deposit in full or in part or you may be removed from the park without being entitled to a reimbursement. You can make a reservation 24 hours a day through our Internet site ... or by telephone by calling ... between 8 a.m. and 10 p.m. (this call may not be free). If you are entitled to a discount, please inform us immediately when making your reservation. We cannot deduct discounts afterwards. Discount schemes and special offers apply to a limited number of holiday accommodation units. Discount schemes cannot be used in combination with special offers. Discounts cannot be combined unless a combination is specified specifically. A limited number of holiday accommodation units are reserved for youths younger than 21 who are travelling alone. They must contact our reservation department before booking. Detailed information You must have paid the full amount of your reservation before your arrival. We will cancel your reservation should payment be late. You can determine the position of your suite yourself for an additional small charge (sea view or sunny side). You can also group multiple suites in the same booking. All preferences will depend on availability and you must make your request when making your reservation. Price General The prices in the brochure and on ... may be different from the actually consulted price when booking your accommodation. A number of elements included in the price must be reviewed regularly such as (but not limited to) energy costs. Holiday Suites reserves the right to change prices and/or to charge a surcharge. Holiday Suites also reserves the right to change discounts and discount schemes. The price specified on the confirmation/invoice is binding. The price includes the following: The rate Use of a flat screen or TV VAT (Obligatory) rental of sheets Energy and water use, taxes, etc. Cleaning upon departure The price does not include the following: (Optional) rental of towels Other supplements (pet, service kit, etc.) Cleaning during your stay (when requested). If you book online, the system will present a detailed overview of all costs and the total price while you are booking the accommodation. Holiday Suites has the right to alter prices or cancel reservations up to 72 hours after booking. Discounts Specific discounts may apply to the price in accordance with specific terms and conditions. Discounts: Cannot be used in combination with other benefits or offers Do not apply to reservations that have already been made Apply to specific arrival dates, periods or target groups (for example: OAPs, families with young children, people who book early, etc.) Apply to a limited number of suites and/or accommodation types Can always be revised Will never apply with retroactive effect Discounts cannot be used any more after confirmation or after the invoice has been issued. Deposit The deposit must be paid in full to Holiday Suites through a bank transfer or a credit card before arrival. The reservation will be refused or cancelled if the above payment is not made in full or in part. The deposit will be reimbursed through a bank transfer by Holiday Suites to the account of the person making the reservation. This will take place once the stay has taken place and will be done within 3 weeks if the Holiday Suites accommodation is in order upon your departure. All our holiday accommodation units are clean and hygienic. If you find that something is missing or broken when you access the accommodation unit, please report this within an hour after accessing the accommodation unit by calling ... EUR/minute). If you do not do so, you run the risk of having to pay for the missing item or damage yourself when you leave. To ensure that the deposit is reimbursed quickly, please let us have your IBAN and SWIFT/BIC code when you make your reservation. The following cleaning activities must be carried out by the guest: Clear up the kitchen/kitchenette, i.e. the kitchen unit, all crockery, plates, saucepans, pans and service must be washed up and dried and put away in the units The fridge, cooling, microwave, coffee machine and kettle must be cleaned Waste must be deposited in the containers (see the park plan) when you leave Sheets and (any) towels must be gathered and placed in the washing bag provided in the entrance hall (if a washing bag is not available, they may be simply stacked on the floor) Switch off the lighting and close windows and doors Leave the patio/garden tidy and place the garden furniture in the storage facility (if this applies to your destination) If additional work needs to be carried out by the cleaning company, the deposit will not be reimbursed in full or in part (a minimum of 30 EUR will apply) and the administrative costs for this will be charged. If the park regulations are breached, 50% of the deposit will not be reimbursed (for example, when you park at the site instead of the car park, when driving faster than the maximum permitted speed, etc.). If you lose the key or it breaks off, € 40 will be deducted from the deposit. The entitlement to be reimbursed the deposit will expire two years after the date of departure. You may not have people and pets stay with you if they have not been specified when you made the reservation. If a Holiday Suites employee or a representative of the company should determine that this is the case, Holiday Suites may decide not to return the deposit in full or in part (also see item 10) or you may be removed from the park without being entitled to a reimbursement. Smoking is not allowed in any of our buildings. If you do smoke, the entire deposit will not be reimbursed. If you cancel your reservation, the deposit will be reimbursed to the person making the reservation once your stay has finished. This reimbursement will take place within 21 days. Package Deals Cycling Paradise Limburg In case of minor damage to the bicycle, no costs will be charged. Repairs necessary by negligence or abnormal use, will also be invoiced. In case of loss of the bicycle, the customer will be held responsible. In case of loss, the customer refunds the bicycle(s) to Holiday Suites. Holiday Suites is not responsible for any accidents that may occur while using the bicycle. In case of a defect, the customer will inform Holiday Suites. Changes & Cancellations Changes If you want to shorten the length of y Please note: the rates do not include the mandatory hirers' liability insurance. This small amount is a percentage of the rental sum starting from 10 Euros per reservation. Holiday Suite for 8 people. Westende is a part of Middelkerke and a nice seaside town on the Flemish Coast. With its clean beaches and many relaxation options, it is the ideal destination for a child-friendly and carefree beach holiday in your own country. Moreover, you are only a small distance away from cities such as Ypres, Ostend and Bruges. Westende was once a seaside town where only the rich were welcome. That has changed completely, but the grandeur of earlier times has left a unique mark on the seaside resort. You will find the beautiful Villa Les Zéphyrs, with the beautiful Art Nouveau interior of Henry Van de Velde, and the Rotonde, an architectural gem that was a hotel for a long time. The Saint-Theresia chapel in Westende-Bad and the neo-gothic Saint-Laurentius church in Westende-Dorp are also worth a visit. This Holiday Suite for 8 people features two bedrooms with bunk beds for 2 people and two bedrooms with double beds. The accommodation is equipped with all comforts and has a pleasant living room with tv and a balcony. The open kitchen is fully equipped (fridge, hot plates, electric kettle, coffee maker, pots and pans and dinner-service). This Holiday Suite has two bathrooms with a shower and one bathroom with a bath. Each bathroom has a wash-hand basin. In the apartment you have two separate toilets. Your toes in the sand and the warm sunrays on your skin while the children search for shells, kite flying and romping on the beach. Terraces and restaurants abound, some culture to sniff, a little sport here and there ... A perfect mix between feasting, exercise, relaxing and going on an adventure. This is what a holiday in Westende looks like. Don't you have enough of all this fun and goodies yet? No problem, because Westende is barely a stone's throw from the bustling coastal city of Ostend - with its extensive range of events and restaurants, the historic towns of Diksmuide and Ypres - with their beautiful market places and contemplative war memories, and the über-romantic Bruges - the Venice of the North. Rent one of our brand new holiday apartments for 2 to 7 people. Each apartment is comfortably furnished and equipped with a luxurious 5-star sleeping comfort. There is also Wi-Fi available, a small play wall and a lift. Your apartment is within walking distance of the beach; simply perfect for a successful holiday by the sea with the family! Take your pet with you; after all, it also belongs! A varied holiday for the whole family on which you are guaranteed not to be bored, that's what it's all about in Westende. Welcome to Westende. Reservations General information Holiday Suites only accepts reservations from people who are 18 or older. Holiday Suites reserves the right to refuse a reservation at any time without specifying a reason. All personal information including addresses, telephone numbers and email addresses of all people who will be staying with us must be furnished to Holiday Suites to ensure that the required communication with you can take place. If this information is not furnished, Holiday Suites will not be able to provide you with important information regarding arrival and departure (key safe, code, route description, etc.). If people and pets have not been specified when making the reservation, they may not stay with you at the accommodation. If a Holiday Suites employee or a representative of the company should determine that this is the case, Holiday Suites may decide not to return the deposit in full or in part or you may be removed from the park without being entitled to a reimbursement. You can make a reservation 24 hours a day through our Internet site ... or by telephone by calling ... between 8 a.m. and 10 p.m. (this call may not be free). If you are entitled to a discount, please inform us immediately when making your reservation. We cannot deduct discounts afterwards. Discount schemes and special offers apply to a limited number of holiday accommodation units. Discount schemes cannot be used in combination with special offers. Discounts cannot be combined unless a combination is specified specifically. A limited number of holiday accommodation units are reserved for youths younger than 21 who are travelling alone. They must contact our reservation department before booking. Detailed information You must have paid the full amount of your reservation before your arrival. We will cancel your reservation should payment be late. You can determine the position of your suite yourself for an additional small charge (sea view or sunny side). You can also group multiple suites in the same booking. All preferences will depend on availability and you must make your request when making your reservation. Price General The prices in the brochure and on ... may be different from the actually consulted price when booking your accommodation. A number of elements included in the price must be reviewed regularly such as (but not limited to) energy costs. Holiday Suites reserves the right to change prices and/or to charge a surcharge. Holiday Suites also reserves the right to change discounts and discount schemes. The price specified on the confirmation/invoice is binding. The price includes the following: The rate Use of a flat screen or TV VAT (Obligatory) rental of sheets Energy and water use, taxes, etc. Cleaning upon departure The price does not include the following: (Optional) rental of towels Other supplements (pet, service kit, etc.) Cleaning during your stay (when requested). If you book online, the system will present a detailed overview of all costs and the total price while you are booking the accommodation. Holiday Suites has the right to alter prices or cancel reservations up to 72 hours after booking. Discounts Specific discounts may apply to the price in accordance with specific terms and conditions. Discounts: Cannot be used in combination with other benefits or offers Do not apply to reservations that have already been made Apply to specific arrival dates, periods or target groups (for example: OAPs, families with young children, people who book early, etc.) Apply to a limited number of suites and/or accommodation types Can always be revised Will never apply with retroactive effect Discounts cannot be used any more after confirmation or after the invoice has been issued. Deposit The deposit must be paid in full to Holiday Suites through a bank transfer or a credit card before arrival. The reservation will be refused or cancelled if the above payment is not made in full or in part. The deposit will be reimbursed through a bank transfer by Holiday Suites to the account of the person making the reservation. This will take place once the stay has taken place and will be done within 3 weeks if the Holiday Suites accommodation is in order upon your departure. All our holiday accommodation units are clean and hygienic. If you find that something is missing or broken when you access the accommodation unit, please report this within an hour after accessing the accommodation unit by calling ... EUR/minute). If you do not do so, you run the risk of having to pay for the missing item or damage yourself when you leave. To ensure that the deposit is reimbursed quickly, please let us have your IBAN and SWIFT/BIC code when you make your reservation. The following cleaning activities must be carried out by the guest: Clear up the kitchen/kitchenette, i.e. the kitchen unit, all crockery, plates, saucepans, pans and service must be washed up and dried and put away in the units The fridge, cooling, microwave, coffee machine and kettle must be cleaned Waste must be deposited in the containers (see the park plan) when you leave Sheets and (any) towels must be gathered and placed in the washing bag provided in the entrance hall (if a washing bag is not available, they may be simply stacked on the floor) Switch off the lighting and close windows and doors Leave the patio/garden tidy and place the garden furniture in the storage facility (if this applies to your destination) If additional work needs to be carried out by the cleaning company, the deposit will not be reimbursed in full or in part (a minimum of 30 EUR will apply) and the administrative costs for this will be charged. If the park regulations are breached, 50% of the deposit will not be reimbursed (for example, when you park at the site instead of the car park, when driving faster than the maximum permitted speed, etc.). If you lose the key or it breaks off, € 40 will be deducted from the deposit. The entitlement to be reimbursed the deposit will expire two years after the date of departure. You may not have people and pets stay with you if they have not been specified when you made the reservation. If a Holiday Suites employee or a representative of the company should determine that this is the case, Holiday Suites may decide not to return the deposit in full or in part (also see item 10) or you may be removed from the park without being entitled to a reimbursement. Smoking is not allowed in any of our buildings. If you do smoke, the entire deposit will not be reimbursed. If you cancel your reservation, the deposit will be reimbursed to the person making the reservation once your stay has finished. This reimbursement will take place within 21 days. Package Deals Cycling Paradise Limburg In case of minor damage to the bicycle, no costs will be charged. Repairs necessary by negligence or abnormal use, will also be invoiced. In case of loss of the bicycle, the customer will be held responsible. In case of loss, the customer refunds the bicycle(s) to Holiday Suites. Holi Please note: the rates do not include the mandatory hirers' liability insurance. This small amount is a percentage of the rental sum starting from 10 Euros per reservation.